TruePublica Editor: Quite despite the usually impressive sounding expressions and mottos to obfuscate the facts, the universal experience of the ‘privatisation’ of Britain has been the decrease of standards and increase in pricing. It has taken years for this fact to become crystal clear. As all Governments since the hegemony of post-Thatcherite neoliberal conservatism outsourced crucial decisions to the very consulting firms who would benefit most, what we have witnessed is little more than a transfer of wealth to the top whilst turning essential citizen needs into products. 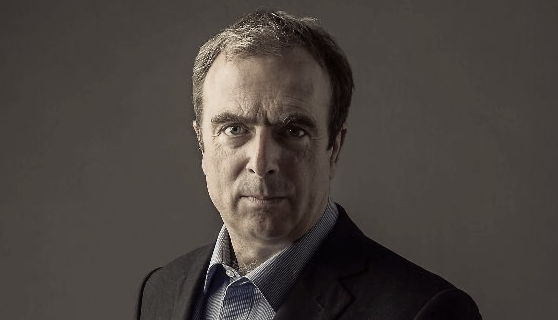 On April 3rd 2016 Peter Hitchins, now the ‘repentant Thatcherite’ has second thoughts about privatisation and I thought it would be a reminder to many of what has happened, and what is to come, once this government fronted by people like Liam Fox have signed away every last vestige of publicly owned property to the vulture capitalists of America who see Brexit as nothing more than an exercise in boundless asset-stripping. By Peter Hitchins: I am so sorry now that I fell for the great Thatcher-Reagan promise. I can’t deny that I did. I believed all that stuff about privatisation and free trade and the unrestrained market. I think I may even have been taken in by the prophecies of a great share-owning democracy. I thought – this now seems especially funny – that private British Telecom would be automatically better than crabby old Post Office Telephones. I think anyone who has ever tried to contact BT when things go wrong would now happily go back to the days of nationalisation. Soviet-style slowness was bad, but surely better than total indifference. And it’s all very well being able to buy cheap goods from all over the world, as we fling our borders wide and abandon the protection of our own industries that everyone says is so wicked and will make us poor and backward. How I miss the old names of trusted brands, and the knowledge that these things had been made for generations by my fellow countrymen. But the new broom swept, and it swept pretty clean. In towns I know well, car assembly lines, railway workshops, glassworks engineering plants, chocolate factories vanished or shrank to nothing.A journey across the heart of England, once an exhilarating vista of muscular manufacturing, especially glorious by night, turned into archaeology. Now, if it looked like a factory, it was really a ruin. Someone usually pops up at this stage and says that we still manufacture a lot. If you say so, but then why are the drug-dealers so busy in our new factory-free industrial areas, and why can I never buy anything that was made here, except from absurdly expensive luxury shops? Why are our warships made of foreign steel? Why are the few factories that do exist almost always foreign-owned, their fate decided far away by people who don’t much care about this country? And why is our current-account deficit with the rest of the world the worst it’s ever been in peacetime, and nearly as bad as it was during the Great War that first bankrupted this country a century ago? If it’s all been so beneficial, why do so many of the containers that arrive in British ports, full of expensive imports, leave this country empty? Sure, some things have got cheaper, and there are a lot more little treats and luxuries available. The coffee and the restaurants are better – but the essentials of life are harder to find than ever: a good life and an honest place; a solid, modest home big enough to house a small family in a peaceful, orderly landscape; good local schools open to all who need them; reasonably paid secure work for this generation and the next; competent government and wise laws. These have become luxuries, unattainable for millions who once took them for granted. And now the remains of our steel industry are vanishing, not because nothing can be done (any determined government could save it if it really wanted to) but because we’re all still worshipping that free-market dogma that captivated us 30 years ago. I never thought I’d yearn for the National Coal Board or British Steel or, good heavens, British Leyland. But I do begin to feel I was fooled into thinking that what was coming next would be any better. At this rate it may soon be much, much worse. “Excellent article by Peter Hitchens. Admitting fundamental error takes great courage and is always to be admired. I replied this morning to a comment on my last posting from a gentleman named Andrew, who said we should ditch loss making heavy industry and could live on highly profitable financial services. I am happy to say what struck me immediately was how old-fashioned this sounded. The zeitgeist has moved. We just have to be rid of a legacy government“.